Warlords Slots | 96.89% RTP, FREE Spins & more! Warlords Slots has a generous 96.89% RTP, rewarding bonuses and a fight of a lifetime. Spin to win today and get ready to win BIG! Do you have what it takes to fight your way to the top? There can only be one ruler – which one will it be? The Samurai, the Priestess or the Barbarian? Take your pick and hope for the best. 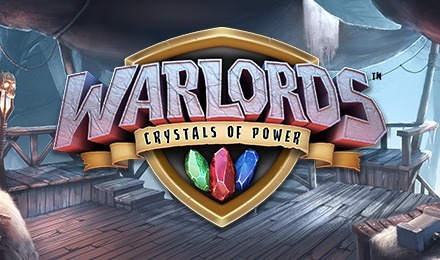 Warlords – Crystals of Power Slots has 30 paylines and loads of bonuses, including FREE spins, Re-spins, Overlay Wilds and more! Login and play now. Good luck!